When you begin to spawn your fish and raise fry, the industry supplied choices of foods for larval fish become few and far between. This is especially true when raising fish that produce tiny fry not capable of eating newly hatched baby brine shrimp. The good news is, there is a multitude of foods you can culture yourself when faced with the prospect of feeding tiny fry. 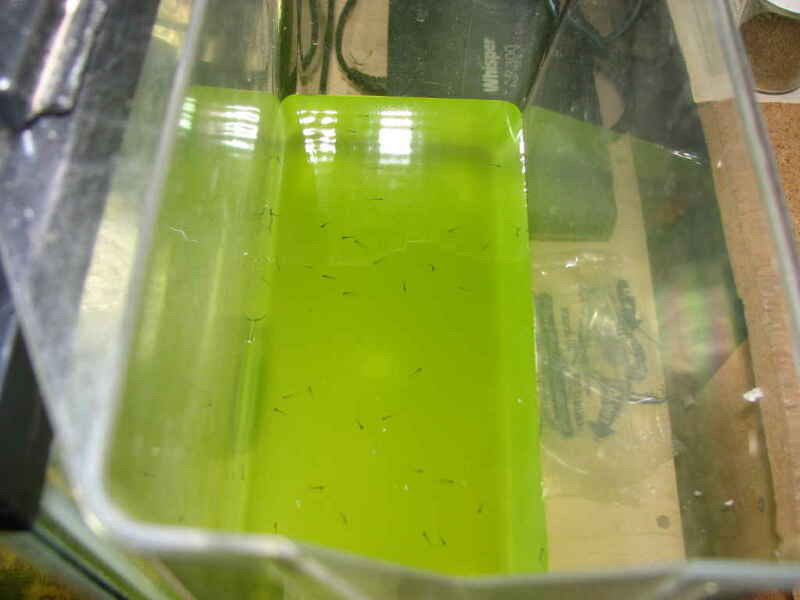 Green water is one of the smallest foods available, and I consider it indispensable as a “first food” when raising newly hatched fry. 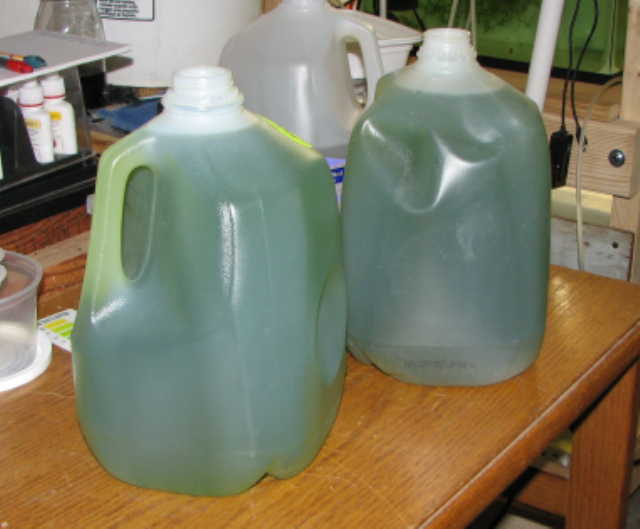 There are about as many ways to culture green water as there are hobbyists culturing it. My favorite is to take a suitable sized tank and add several feeder goldfish. Supply a bright light, and within several days you will have the start of your green water culture. As with any culture, be advised that your culture may suddenly collapse and need to be replaced. For this reason, it’s recommended to have multiple cultures going at any given time. 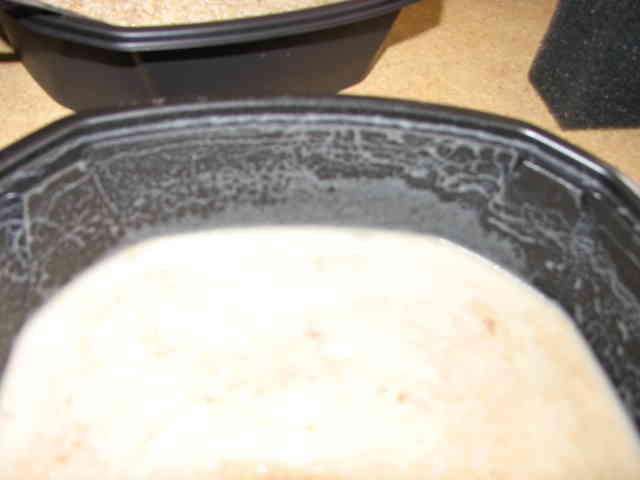 Infusoria is not a specific type of animal, but rather a soup consisting of all kinds of tiny little critters that fry will thrive on. To culture infusoria, I take a 5 gallon bucket full of old aquarium water and add a handful of dried grass clippings, or a dried corn husk, or a dried lettuce leaf. Supply a bright light, or put it out in the sun shine, and within several days you will have the start of your infusoria culture. This is going “Old Style”. Feeding fry with a bit of boiled egg yolk disolved in water goes back before I started keeping fish in the ’60’s. It’s an easy, inexpensive food to use with young fry, and is especially handy in that it can be prepared quickly if caught off-guard with a suprise batch of fry. To prepare this food, all you need is a hardboiled egg yolk and a bit of water. Place a small piece of yolk a small container with water, and shake the container vigorously. When you agitate the water the yolk should dissolve, and you now have a suspended food that you can feed your fry. Be careful feeding your egg yolk as it’s potent stuff. It is not “live” food like the infusoria or green water, so over feeding can quickly foul your water and ruin your spawn. If you are new to culturing live foods, nematode worms are a good place to start. Culture set-up is easy and the worms are very hardy and tolerant of first time mistakes. I’ve listed three types with micro worms being the old stand-by in the hobby. Here of late, the walter and banana worms are gaining in popularity. It is said that walter worms live longer in the tank and thus make the better food for your fry. Starter cultures are very inexpensive so you might get one of each and decide for yourself which you like the best. Here’s a link to a great article by Dr Jesse Chappell of Auburn State University on culturing micro worms. The same technique can be used for the others as well. Here of late I’ve been experimenting by setting up my tiny fry in 10 gallon tanks with a rich green water base. When the fry first go in, I add a starter of Moina to the green water. 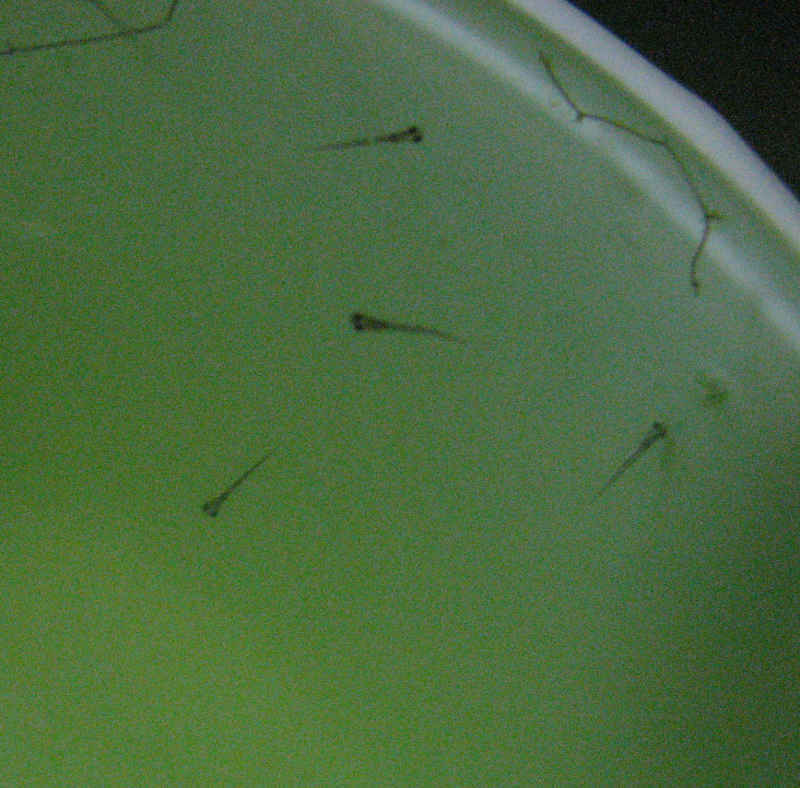 By the time the fry are large enough to eat something other than the single cell algae in the green water, there are many newly hatched Moina in the tank. I preform water changes just like with any other fry grow-out tanks, but the new water added is the rich green water culture. I have been getting a fantastic growth rate from fry raised this way as they have live food in front of them at all times. Eventually the fry become big enough to eat all the adult Moina, but by then they are large enough to also eat baby brine shrimp and other larger foods. I some times add a start of Daphnia magna and continue the green water for a couple more weeks. While there are other items suitable for tiny fry, these are my favorites. I guess I should also mention the 5-50 micron size of Golden Pearls prepared food. I try to stay away from prepared foods when feeding tiny fry as there is such a risk of fouling the tank water with them. I do however feed the Golden Pearls as a supplement to my other live food options. Kens Fish has a wide selection of Golden Pearls and here’s a link to the 5-50 micron size.